Testing and tracking are two skills any online marketer or business owner needs to learn if they want to succeed. If you want to build a great website that generates real money, understanding how your customers behave is crucial. That’s what tracking allows you to do. There are a lot of things you should be tracking. Here are some of the most important factors, what they are and why they’re important. 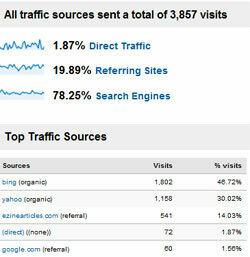 Website Traffic – This is the most basic metric that every webmaster should know. How many people are coming to your website? Ideally, this number should be going up over time. Page views – How many page views do you have? This number is less important than your visitor number, but, if you plan on using advertising as a way to make money, you want to work on increasing your page count. Simple tactics like splitting your articles into 3 pages where they click “next” to continue can double your page count and thereby double your revenue. Traffic Sources – Do people type in your URL in their domain bar and land on your site? Or do they find you via search engines? Does most of your traffic come from Google, Yahoo or MSN? Perhaps most people really just come from 3 referring sites? The data may surprise you. For example, if you’ve built a brand for yourself from speaking, most people may actually already know about you by the time they land. Your SEO strategy may not be nearly as important as your public speaking strategy. Or, you might find that 90% of your traffic comes from Yahoo. Sure, they have ten times less traffic less than Google, but if you’re ranked top 3 in Yahoo and on page 4 in Google, it only makes sense that Yahoo will bring you most of your traffic. By knowing where most of your traffic comes from, you’ll be able to better spend your time on increasing things that are already working rather than spin your wheels trying to get things that aren’t working to work. What People Type In to Get To Your Site – Often time’s your site will be ranked for keywords that you would have never expected. The keywords people type in to get to your site may be completely different than keywords you were optimizing for. Opt In Rates – Out of every 100 people who land on your website, how many sign up? Your newsletter is one of the most important assets to your business. Most people won’t buy the first time they land on your site. Instead, they buy as they build more and more trust for you over time. Having a newsletter allows you to stay in touch with your visitors over the course of weeks, months and years rather than just the one time they land on your site. Tracking and optimizing your opt in rates can help you exponentially grow your business. Conversion Rates – Out of every 100 visitors, how many people actually pull out their credit cards and buy? Naturally this is a number you want to test and improve as much as possible. If you can get a 1% conversion to a 2% conversion, you’ve doubled your income without having to double your traffic. What Country Your Visitors Are From – You might be surprised. Often times traffic comes from a combination of the U.S. and Europe, though occasionally you’ll have a website where most of your traffic comes from other countries. For example, a PDF Search site was originally built for random internet users who wanted to find documents. Its site owner discovered however, that the site was being used primarily by students in India to find sources for research papers. Once he knew that, he was able to cater his site even more for his audience and improve his income. Wouldn’t you love to increase your income by tweaking your site? 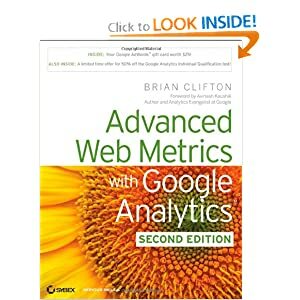 Make sure you learn more about Advanced Web Metrics with Google Analytics. Once your product is created you’re going to spend the majority of your time marketing it. If you enjoy your topic then marketing it will be fun. If you’re not interested in your topic then marketing will be tough. Many people have the wrong idea about marketing. It’s not a hard sell. Marketing is sharing your love for your product and topic with others. If you like to write and talk about your niche topic then marketing will be a breeze. Make a marketing plan first. Here are some things to include in your plans. In order to market and sell your information product you’re going to need a website. Your website can be a single page site with a sales page and that’s it. It can also be a content rich website packed with information. The choice is yours. The benefit to a content rich site is that people will come back to your site again and again. You can sell a number of information products. You can benefit from affiliate sales and advertising income. The foundation of a website or blog is content. This means writing a lot of articles or blog posts. You can also create audio or video content. When you’re creating your business plan decide what type of website you want to create. While you may be turned off by the content creation aspect of a blog or multi page website remember that you don’t have to create it all yourself. You can outsource it and use PLR. Apart from your blog or website content you can use content to market your business. For example articles can be written and published on article directories. This content will generate links to your website and website visitors. You can also publish content in a newsletter. Additionally, content written and published n your website will help you get listed on the search engines. Whenever someone is looking for information on your topic your website will show up in the results. You get visitors and potential customers. For many information publishers content both on their website and on article directories is a primary marketing tactic. Social networking has become a mainstream pastime. Savvy business owners have caught on. As a social networker you can post links to content on your site. Mingle promotions with interactions to establish a genuine presence and following. You can also create a business profile on a social networking site. Facebook Fan pages have become significant marketing tools for many business owners. Email marketing has been a long time success strategy. As an information publisher you’d likely motivate people to sign up for your email list by giving away free information. For example, you might give away a report on the top ten garage organization mistakes. You now have permission to send your subscriber more valuable information and promotions. You can market your book to them through strategic email marketing messages. Email is a great way to build a relationship with your customers and prospects. They may turn to you repeatedly for information and become lifelong customers. Of all of the marketing tactics discussed, advertising is the only one that really can cost a lot. However, with a strategic plan and control over your budget advertising can generate a good return on investment. There are different types of advertising: Pay Per Click, banner ads, Facebook, etc. Before you advertise make sure your ad is targeted. Maintain tight control over your budget. Test and track your ads to make sure they’re effective. As your business grows you may look into affiliate programs. In this case you’d pay people a commission to promote your information products. You may also establish partnerships with other relevant companies. Partnerships work well to cross promote and to build an email list. For example, you might partner with a home organization retailer and promote their products. In exchange they would promote your book. Are You Making These Link-Building Mistakes? Link building is an important aspect of a successful search engine optimization (SEO) campaign. The more quality links you have coming into your site, the better. It the sites linking to you are quality sites and contain your keywords, even better. However, on the path to the number one spot on the page rankings, many business owners make a few common link-building mistakes. Limiting the sites you target for backlinks – Yes, high page ranking websites and pages are lucrative opportunities. However, don’t neglect the smaller businesses either. Focus on getting a wide variety of links from relevant websites. Not using keywords, anchor text, in your backlinks – Keywords are your bread and butter. Not only do they help motivate actual clicks, they help the search engines index properly. And they boost your search engine ranking, which is of course the ultimate goal. Skip using anchor text like <Click Here> or <Download Now>. Use your keywords! Too many links on a page – Too many links on the page confuses not only the website visitor but also the search engines. It divides the power of your links and minimizes their effectiveness. Instead, choose your links wisely. Choose the ones that seem to carry the most weight. Counting on social media to provide links – Social media links are not considered quality links. And most networking sites nofollow external links. However, don’t neglect social media as a tool to generate awareness for your content and your website. Placing backlinks only to your homepage – One rule of thumb is to identify key strategic pages and work to increase backlinks to those pages. Your landing page likely already receives an abundance of links. There are of course other mistakes which it shouldn’t be necessary to mention. However, just to make sure we’re all on the same page and striving for success, these mistakes include linking to link farms or link exchanges. They also include avoiding any black hat or spammy behaviors. Link building is about creating great content, building relationships online with your associates, prospects and customers. It’s about planning and creating a strategy. Avoid these mistakes, create a link-building plan, and regularly assess your success. There are many different types of website analytic programs on the Internet today. Each one of them offers different features with different price tags. Google Analytics is undoubtedly one of the most popular website statistic programs currently available. For numerous reasons Google Analytics is also my web analytic program of choice. It’s free! There is no cost to use Google Analytics and you can monitor as many websites as you want under the same account. Plus it’s super easy to allow someone else one time access to view your stats if necessary. Set up goals. Within Google Analytics you can set up a goal to follow your product funnel and track where your customers leave the site in the purchasing process or how many customers actually follow through with the sale. Goals are technically just page views, but it allows you to view the data you want in a logical and meaningful way. Link to your Adsense account. If you run Adsense campaigns you can easily link your Adsense account to your Analytics account in order to better under how well your ads are performing and the long term result they have on your website. Site Overlay Map. With the site overlay map you can easily view which areas of your site gets the most clicks. Is it the area above the fold? Do links in your sidebar get clicked? The Site overlay maps displays your site along with small boxes at every link telling you how many times that link has been clicked. This is always a quick and visual way to see how your ads, affiliates links, or product links are converting. From monitoring every aspect of your website’s traffic, visitor loyalty, site referrals, to keywords, Google Analytics provides everything you need to know about your readers and blog stats. Familiarizing yourself with Google Analytics and all that it can do will help you make the best decisions for your website and ultimately your readers. I invite you to join me in a Google Analytics Workshop on August 30, 2010 where I will teach you how to use Google Analytics to help increase your readership and profits.